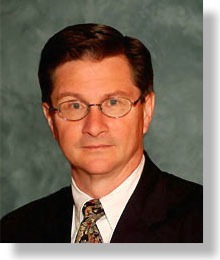 Michael Lettich is the Principal Consultant of MJL Consulting. Michael has over 20 years of results oriented experience helping Fortune 500 industries improve maintenance and safety programs, making them more efficient in an ever more globally competitive marketplace. MJL Consulting, Inc. was founded to help clients in the Chemical, Petroleum, Pulp & Paper, and Utilities industry to improve their ability to operate and maintain their facilities without injury. The firm focuses on providing strategic based, cost effective safety training, corrosion protection, energy management and work practices efficiency programs with predictable costs. Providing line managers and supervisors with effective tools to manage safety in the workplace. Michael is a Chemical Engineer with a BS from the University of Toledo. He holds certification as an Asbestos Management Planner and Designer. He is a certified instructor for the National Insulation Association and is also a member of the Steel Structures Painting Council (SSPC).